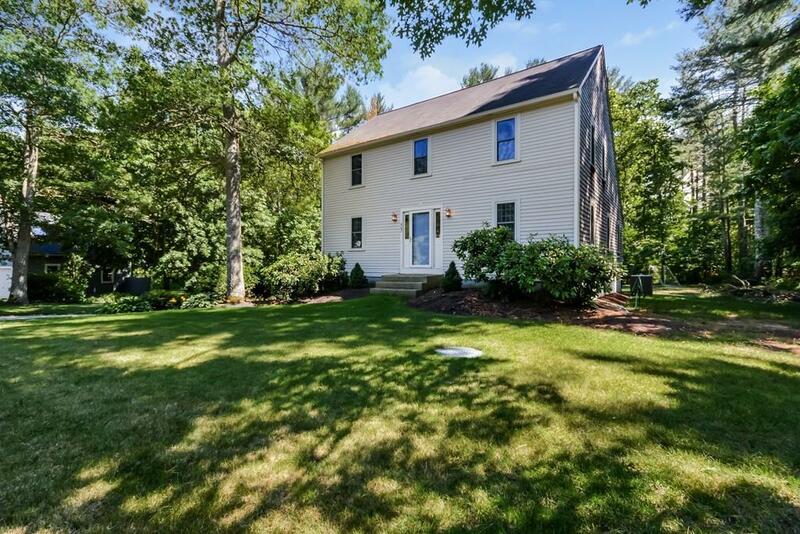 Picture-perfect center-entrance Colonial in a desirable Kingston neighborhood!! The first floor features a beautiful family room with cathedral ceilings, exposed beams, skylights, and a wood burning fireplace!! The updated kitchen has granite countertops, stainless steel appliances and cherry cabinets!! Plus, a formal dining room and living room with recessed lights and a half bath with laundry!! The second floor has a full bath and 3 spacious bedrooms, including a large master with a dream walk-in closet! A finished basement offers additional space! Out back is a deck overlooking a private backyard! Other features include a 2 car garage, new central a/c and a new heating system!! This home is move in ready! !